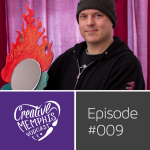 Creative Memphis Podcast is an every other week talk-podcast with hosts Billy Nation and Andrew Lebowitz, featuring a guest from the Memphis creative scene. 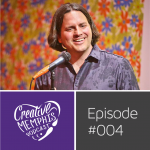 It’s an hour-long conversation where the hosts explore the featured guest’s history, body of work, and perspectives on creativity, all in relation to Memphis. Guests are varied and typically relate to the design field, culinary industry, photography, art or Memphis culture. In the inaugural podcast you get an introduction into the format of the show, what kind of message CMP has to deliver, as well as some crude yet stimulating joking. Of course that’s just us making excuse for wanting to be ourselves doing something we love. When you create something you love all you want to do is share that with people and here at CMP we understand that. Come on to the podcast to promote yourself, our city, our food, and design thinking. Billy early 2014 – Can you say that 20 or even 10 years ago Memphis had the kind of pride you see today? If so, how much of it? In honesty, I can’t answer those questions. What I can say is that after initiatives such as the Memphis Manifesto, I Love Memphis Blog, and Choose 901, Memphis has come to know a new kind of active and cultural lifestyle. The city now moves with an interesting purpose that has pockets all over town chasing after their crazy dreams. 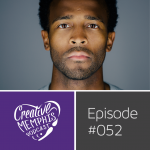 Here at Creative Memphis we believe in our city and all of its potential. 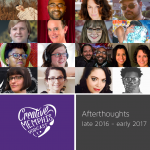 We All Love Memphis, creatives, and Memphians. In 2012 an ex-Memphian and her New York Playbill editor husband asked me about Memphis. What was the scene like? They wanted revolutionary ideas like the upheaval of suburban kids braving the juke joints of south Memphis(their era). Sadly, my world in 2012 was insular. At that question I became startlingly aware of just how insular that was. Since then, I’ve done everything to change just that. My personal judgement: Memphis is alive.